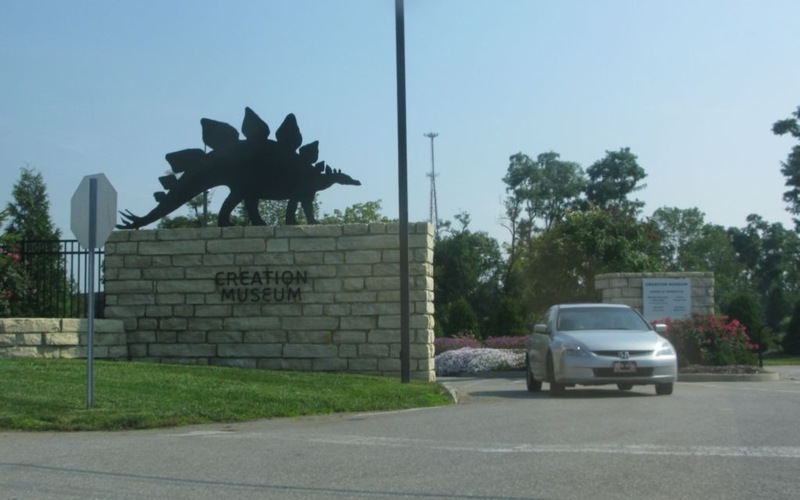 On August 28th, Craig and I took an early flight (way too early) to the Cincinnati-Northern Kentucky airport to visit the Creation Museum in Petersburg, Kentucky, about 7 miles from the airport. Having heard quite a bit about the museum, we were anxious to learn more about it in a way that only a first-hand visit could provide. The result was an oddly enjoyable combination of admiration, amazement, bewilderment, amusement, aggravation, and sadness. I can’t speak for Craig, but when the cab driver dropped us off in front of the museum and drove away, I felt just a twinge of intimidation. The guards in the parking lot were dressed like state troopers, complete with official-looking arm patches and even more official looking firearms. I didn’t remember seeing armed guards when I visited the Philadelphia Academy of Natural Sciences. I felt somewhat like an interloper, or, if I wanted to add a more masculine adventure flair to my description, a spy. We had decided that we were going to remain “undercover,” so to speak… at least for the first day, in order to avoid any out-of-the-ordinary treatment. I gave a big smile to the guard and commented on the beautiful weather. He responded in kind, and seemed very friendly. We found that to be the case throughout the museum. The staff was very pleasant and helpful (with only a few un-noteworthy exceptions) and were quick to return my smiles and engage in light chit-chat. 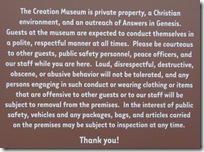 Posted on the front door was a notice stating that the Creation Museum was private property, a Christian environment, and an outreach of Answers in Genesis, Ken Ham’s ministry that teaches a literal interpretation of the bible, including a six 24-hour day creation and a 6,000 year old Earth. 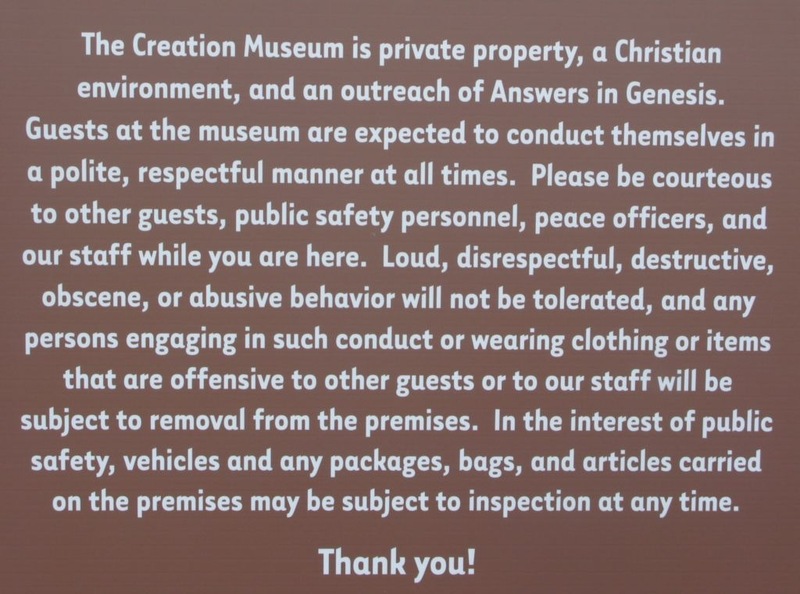 The notice was fairly worded and I didn’t find it offensive or inappropriate, even for a secular museum (other than the first sentence, of course). Be nice, be polite, etc. Good advice in a museum. So far, so good. We got in line to get our tickets and purchased a two-day pass along with a few special tickets for the Planetarium shows and a presentation called “Microscarium” which was to show all the life that can be in a single drop of water (more on those shows in later posts). The two-day pass was only about $7.00 more than a single day pass, so we opted for that so we could come back and get any pictures or video footage that we missed on our first day. Finally we got to the lobby and our first real taste of the kind of quality production values that were consistent throughout the entire museum. Every display, structure, statue, and facility was top-notch. 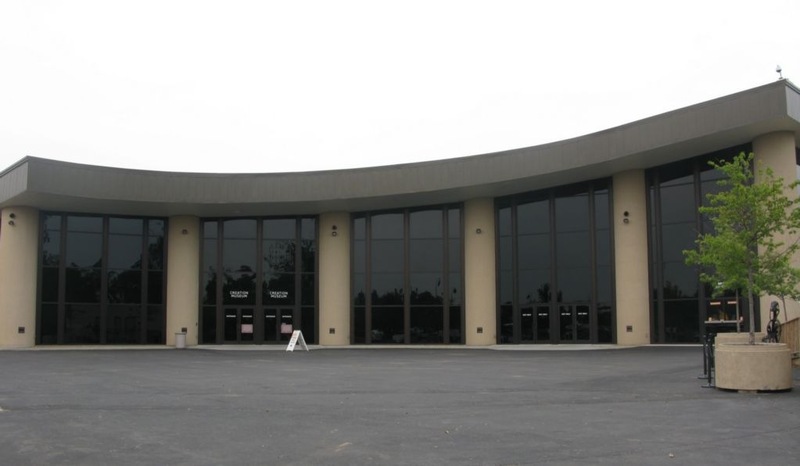 To quote John Hammond, they “spared no expense” when they built this place… and it showed. Had I not known what the museum contained, I would have been filled with admiration and excitement rather than a sense of dread. 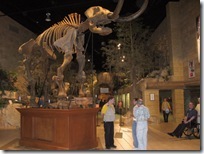 Walking past the mammoth skeleton in the front of the lobby, we got our first glimpse of where we were truly headed. 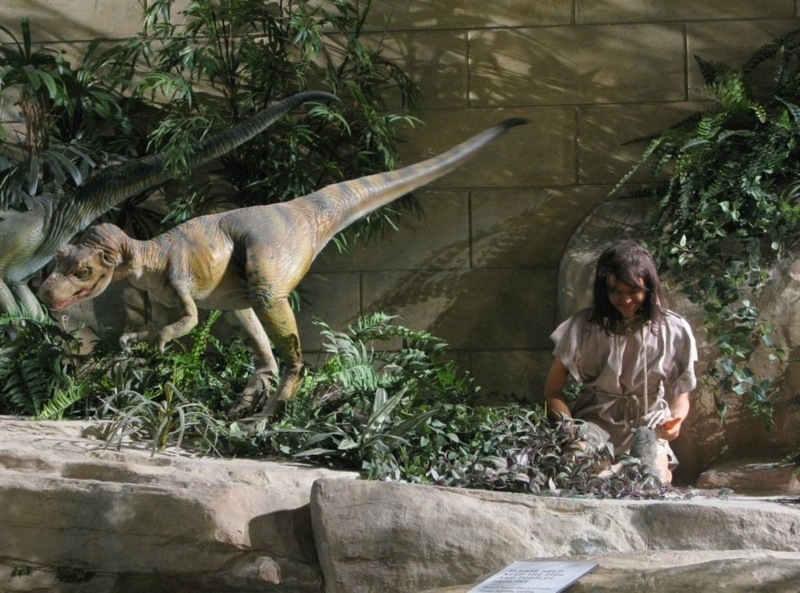 A young girl and boy played in a stream while a pair of raptors (no, not the birds… the dinosaurs) stood together behind them. 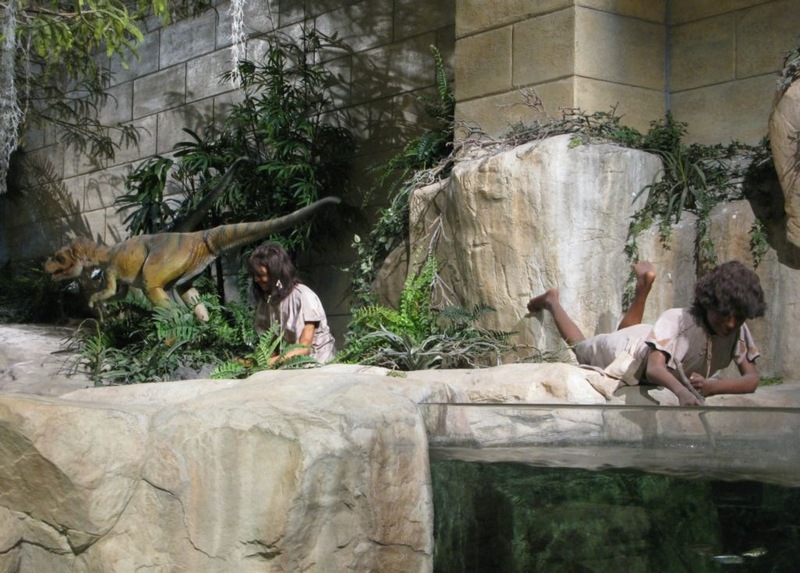 It was like The Flintstones, only presented with animatronic realism… and presented as actual history. The idea of dinosaurs living at the same time as humans is presented, even emphasized, throughout the museum’s exhibits. 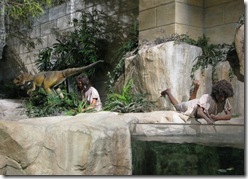 A literal reading of Genesis demands it and the Creation Museum revels in it, as Craig and I were about to find out. We wandered around the lobby for a bit to take a look at the exhibits outside the main “Walk Through History” exhibit. There was plenty to see and we checked it out before heading into the staff-recommended Men in White video presentation in the special effects theater. 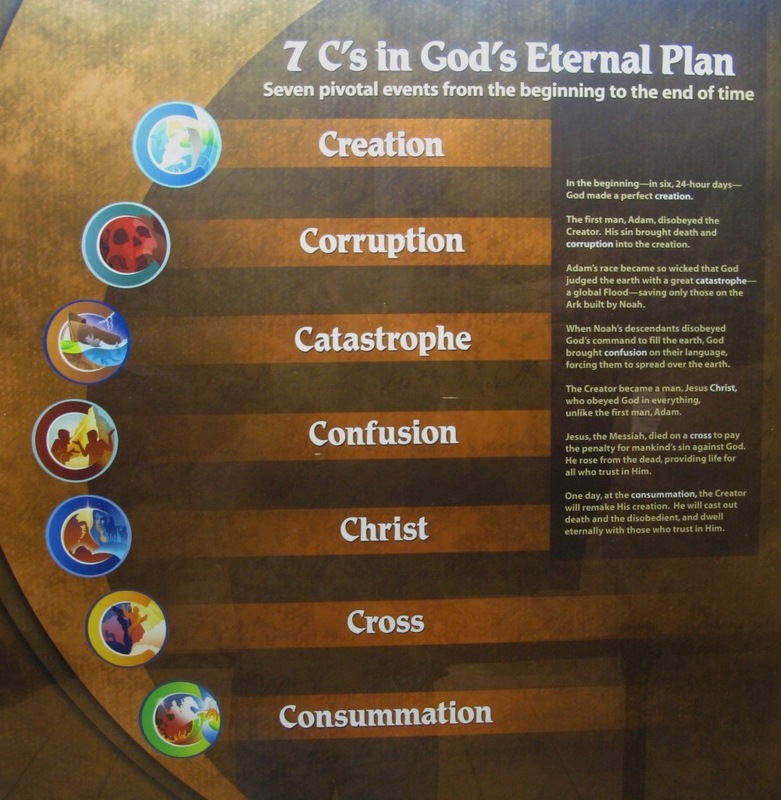 We got a bit more of a taste of what we would be seeing later that day when we ventured deeper into the museum, including the Seven C’s in God’s Eternal Plan (the overarching theme throughout the museum) and an anti-scientific declaration mixed with worship. The Men in White video, like the rest of the museum, had extremely high production values and was very entertaining, though riddled with long-debunked creationist propaganda and absurdly caricaturized science teachers. It was easy to see how viewers who are not well-versed in basic science would be pulled into the descriptions and then walk out of the theater thinking that maybe there was something to the whole “6,000 year old Earth” thing. It was like listening to a fast-talking carnie who was also good-looking, charming, and gave you free candy… so you wouldn’t notice that the live, two-headed snake woman was neither alive nor two-headed. 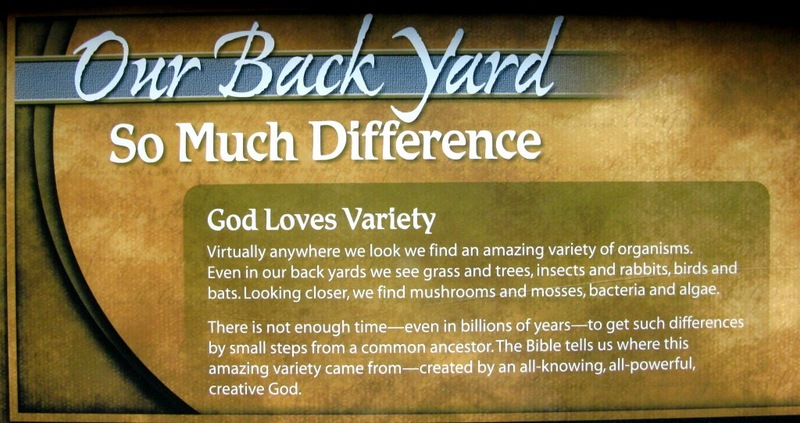 We then headed into the “Walk Through History” exhibit, which was designed to guide the viewer along the biblical explanation for life on earth. It starts with the paleontologist room. Two men are digging up a dinosaur fossil. 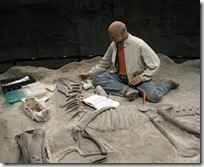 The television screens in the room explain that the two men are finding the same fossils, but they come up with different views depending upon their starting point. This is another key point that is hammered into the viewer repeatedly throughout the museum. 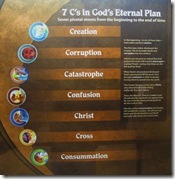 A dichotomy is set up between “Human Reason” and “God’s Word” (with “God’s Word” portrayed as the ultimate truth, of course). “Dinosaur fossils don’t come with tags on them telling us how old they are,” the sign proclaims. 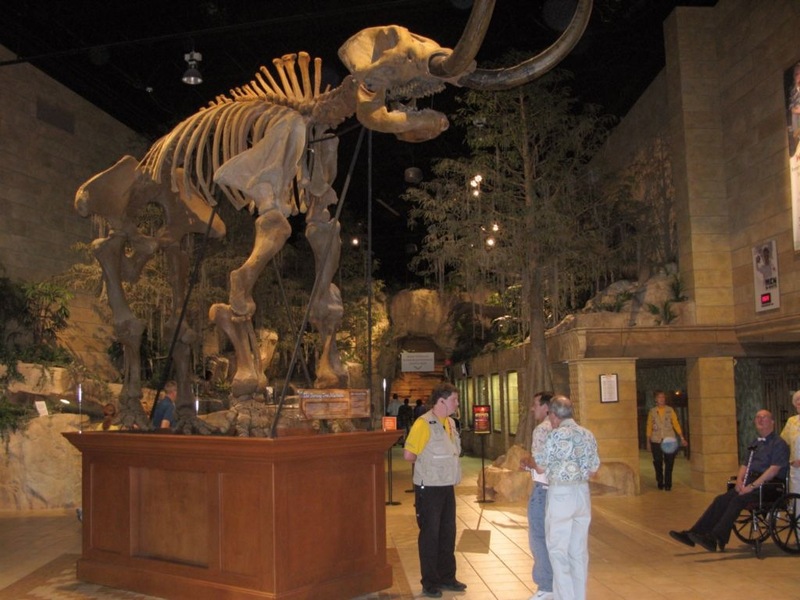 “We have to figure that out from a few clues we find.” That’s true, of course, but what the museum consistently ignores throughout its halls is that we have an overwhelming number of “clues” from numerous branches of science… and they all tell us that dinosaur fossils are millions of years old. 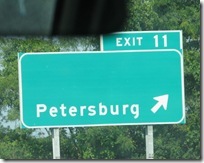 It’s not a matter of interpreting the clues differently. 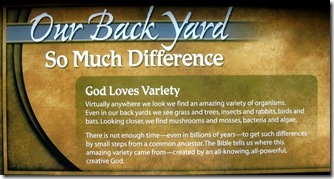 It’s a matter of creationists ignoring clues that don’t meet their biblical requirements. 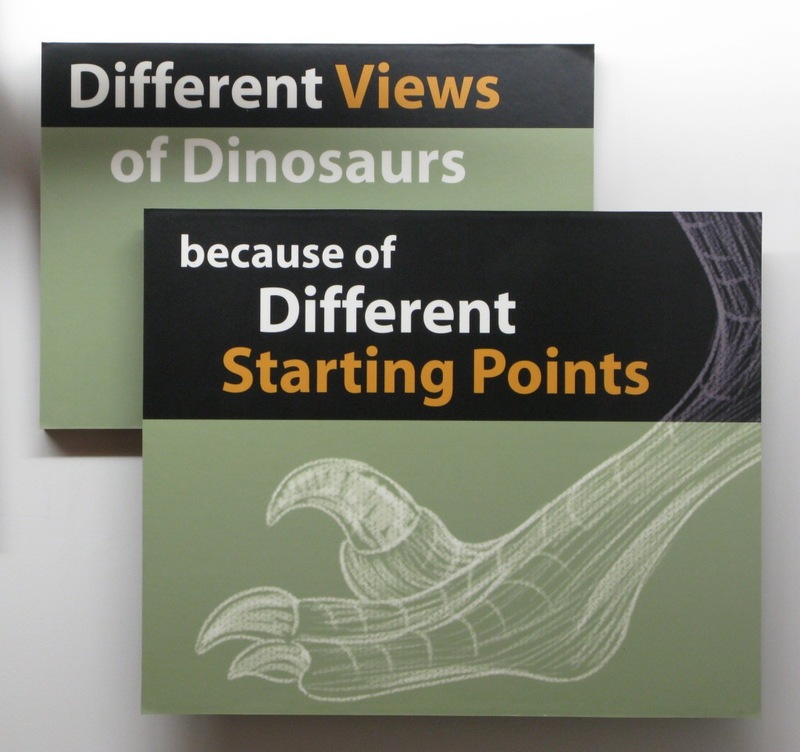 It’s the same with the “different starting points” claim, except this claim is more accurate, though probably not in the way the museum means it to be. Scientists do have a different starting point than creationists. Scientists start with the evidence and examine it to see where it leads. 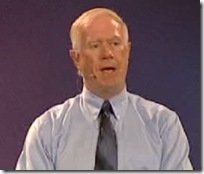 Creationists start with the bible and examine it to see how they can make the evidence fit. 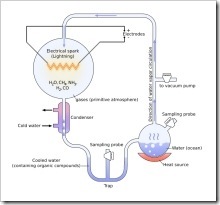 Scientists will change their ideas and theories based on new evidence. 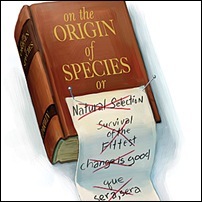 Creationists will never change their theories in the face of new evidence because, in their view, the bible trumps all evidence. 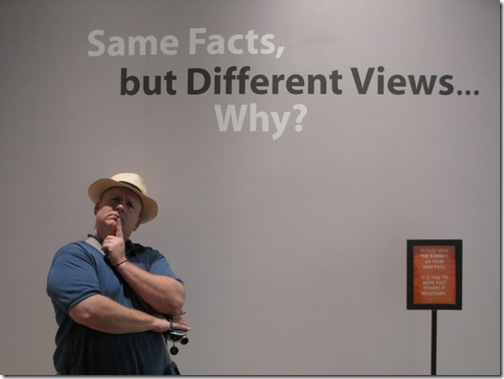 Same Facts, but Different Views… Why?